Instagram keeps evolving. Released in late 2010, it’s no longer just a place for selfies or mouth-watering images of food. It’s become a powerful marketing platform that should be taken into consideration when planning your social media strategy. 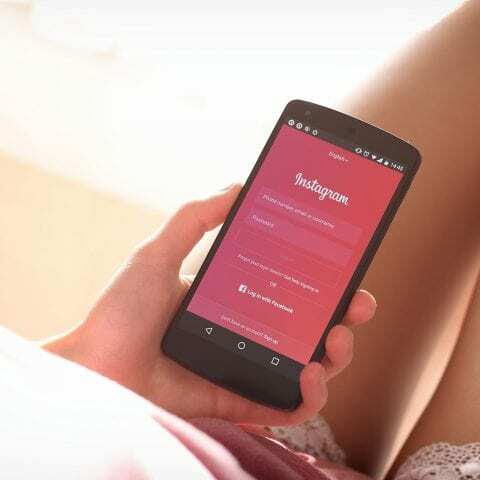 With the continual advancement of updates, it’s no surprise that Instagram is becoming increasingly popular with businesses. To help you out, we’ve put together 5 useful ways you can optimise your Instagram business account. Over 800 million people use this platform, so you can imagine that profiles need to stand out. Especially if you’re a business. It’s an easy and fairly quick process too – so don’t put off doing it. Make sure your bio is optimised with a concise snippet of who you are and include relevant hashtags when possible. In addition to this, it’s also good to include your business name in the Profile Name section. Showcase your Instagram Stories using the Highlights feature. If you haven’t already, switch on the Business account mode. This will grant you access to numerous tools (like insights) and call-to-action buttons for your profile, such as: a contact or ring button. If you follow these steps and give your profile the love it deserves, you’re on the right path to success on Instagram! Post content at the optimal times to reach a larger and wider audience. This can also lead to more engagement. Write posts that have meaning. If users spend a long time looking at them, then Instagram sees it as high quality. Including people who work with you is another great way to engage users. Did you know photos with faces get 38% more likes? Stories are an easy way to show something within a couple of seconds, and once it was the staple of Snapchat. However, in 2017, the Instagram Stories surpassed 300 million active daily users – which is more than double what Snapchat receives. Additionally, 64% of businesses now plan to create Instagram Stories this year. So now is the time to put your creative cap on and think of how your brand can benefit from this popular feature. There’s a variety of fun stickers, gifs, filters and tools to make your Stories stand out from the rest. We suggest that you definitely use them. Moreover, if your business account has more than 10,000 followers you can now add links to the Stories. It’s the perfect way to drive traffic to your website, but make sure you track the clicks using a third-party tool. Why not try emoji sliders and polls to gain real customer feedback too? Or, does your business attend any events or locations of interest? Get somebody to publish an Instagram Story with a location hashtag and you could potentially appear on related accounts – which means more exposure! Livestreams and competitions on Instagram are growing by numbers rapidly. Whilst livestreaming to your customers can seem scary it offers a time to connect with your audience. Use livestreams to promote new products or services or tease upcoming projects. And guess what? Now you can save these broadcasts and publish them on your Story for anybody who couldn’t make the stream. We hear you asking about competitions, though. Are competitions on social media worth it? Yes, and they can be cost effective. Competitions and giveaways can lead to increased brand awareness, generate hype for new products and build an interested following. Need some help engaging your audience on Instagram? Say hello, let’s talk. Even with all of the pointers we’ve given you so far, growing organically on Instagram can be a challenging. Most businesses nowadays turn to paid advertising, where you can have photo, carousel, boosted posts, video and Story ads. Boosted posts are becoming particularly popular due to how easy it is to implement them as you don’t need to use Facebook’s Ads Manager. However, with our Facebook Advertising 101 Guide – you’ll be fine! If you’re not into going all-out on paid advertising, have you ever considered partnering with an influencer to promote your products/services? Our social team predicted that influencers would become even more popular this year, and it turns out they’ve grown bigger than we anticipated. Whether you use big names in the influencer game or a micro-influencer (10-100k followers), you should see tangible results. Micro-influencers are usually more cost effective and receive more engagement, but if you’re looking for some serious brand awareness then go all-out with the big guys. Got a question about growing your business on Instagram? Drop us a line and say hello – we’d love to chat!